I trained with aircare FACTS but I also have 3 years of airline experience. I am very attentive and make sure everyone feels comfortable and like their needs are met all times. I am willing to attend additional training if necessary. I have the determination and flexibility to succeed in the challenging world of private aviation. 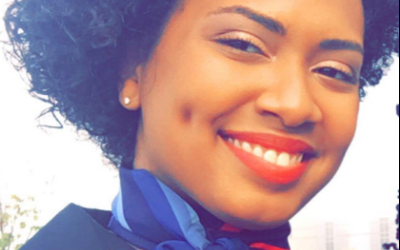 I am very passionate about being a flight attendant and would like to be one of the best in the field. My closest commercial airport is PBI but I am willing to go to pretty much any airport in Florida and I also have travel benefits and can airline into any airport if needed. I am open to a full time, part time and/or contract position.